I love a good clay mask. Feeling like everything bad is being sucked out of your skin is something quite disgusting, yet satisfying haha. I do love the Origins Clear Improvement mask, but if you're on a budget I have a great recommendation. 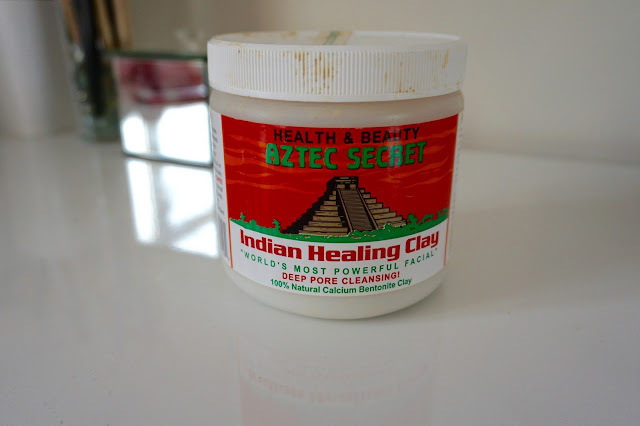 I remember watching an Annie Jaffrey video years ago, and she recommended this Indian Healing Clay mask. I bought it from Amazon straight away, and I still have the same pot today. This clay comes in a powder form, and you mix it with equal parts water to make the mask. I always apply this with an old foundation brush as it can be a bit messy otherwise, then leave it to set for around 15 minutes. My skin definitely feels very tightening with the mask on, and after you wash it off with warm water, your skin will be a bit red, so probably one to use before bed or on a pamper day! It will literally bring all the badness out of your skin, so you might get a couple of spots after using this, but that is just your skin 'purging' and it will be looking super clear after that! However, maybe not one to use if you have super sensitive skin. You can get this on Amazon for only £11 for 0.5kg of product - this will literally last you forever so it's literally the best budget mask out there! Have you tried this? Let me know in the comments!